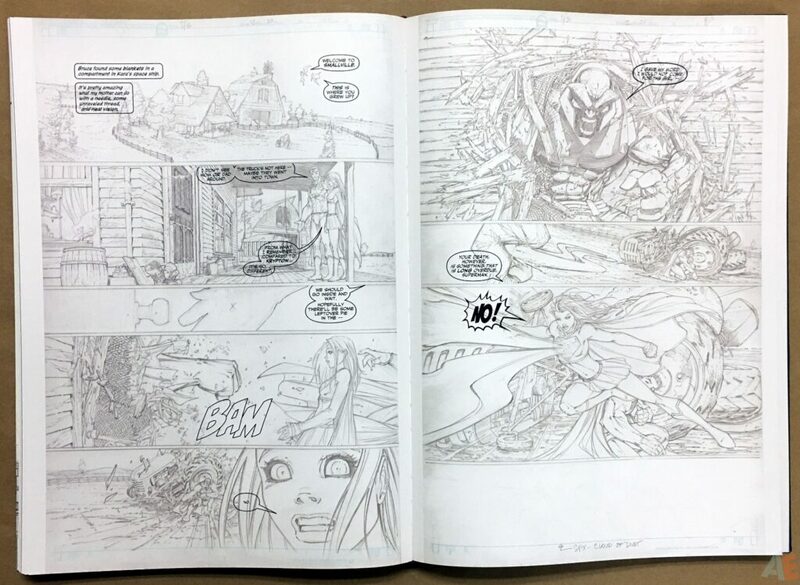 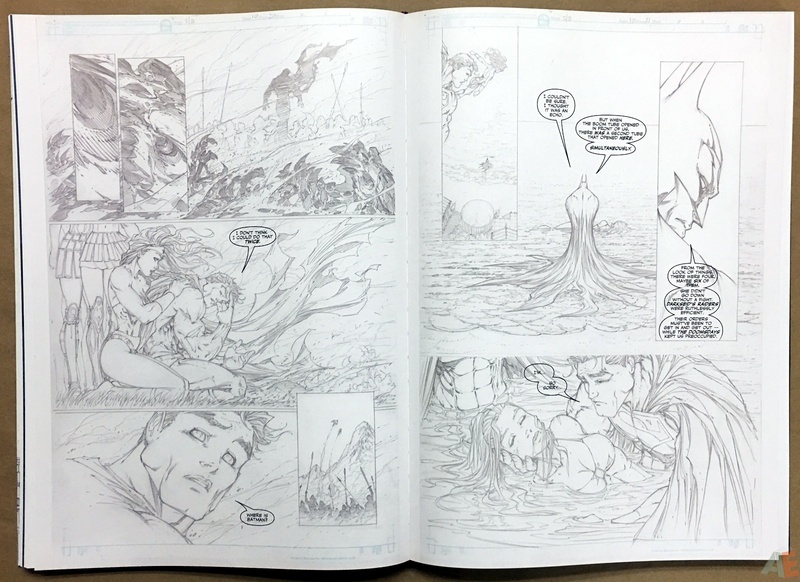 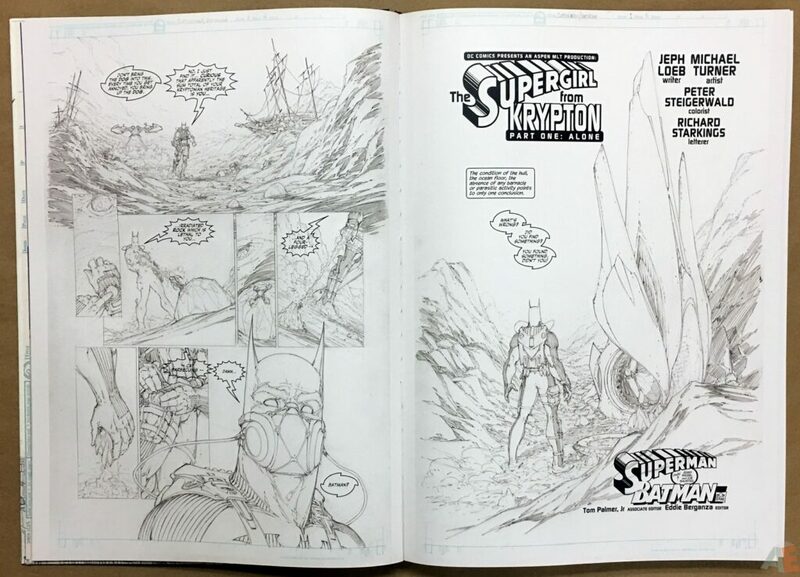 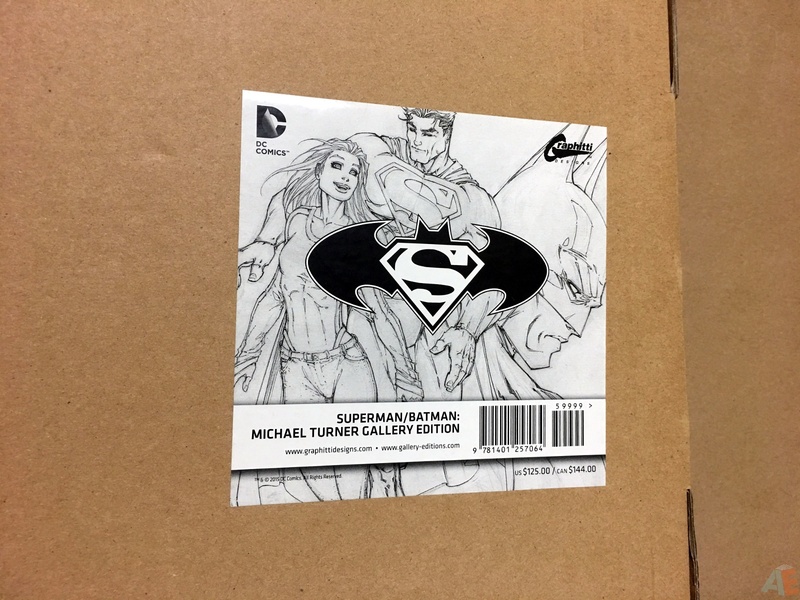 The art of comics legend Michael Turner is seen for the first time in it’s original form in the new SUPERMAN/BATMAN: MICHAEL TURNER GALLERY EDITION. 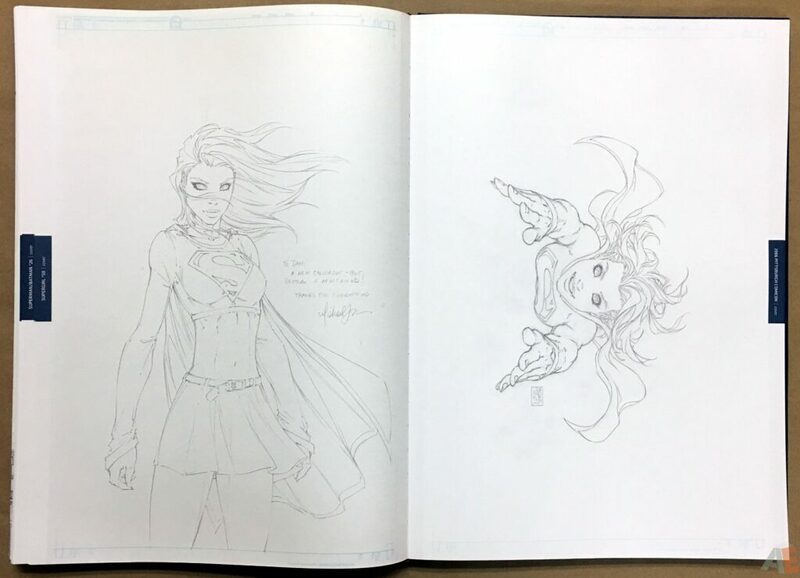 This spectacular new book collects the “Supergirl” epic from SUPERMAN / BATMAN #8-13. Rounding out the book are numerous covers from IDENTITY CRISIS, JUSTICE LEAGUE OF AMERICA, THE FLASH and other DC Comics titles that helped establish Michael as an artistic force to be reckoned with. 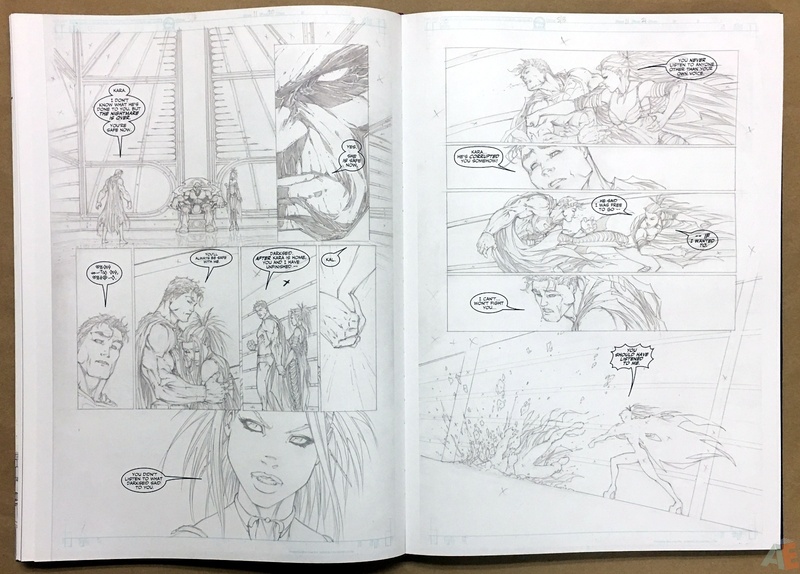 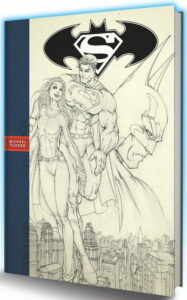 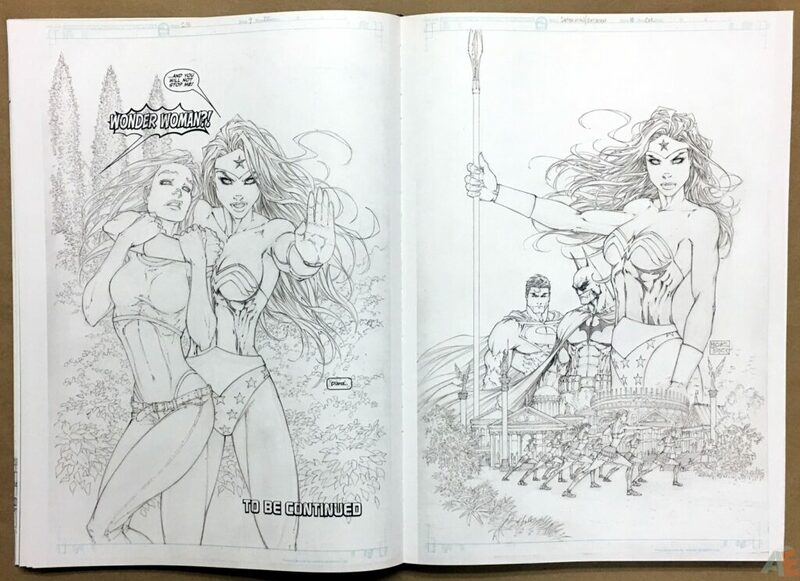 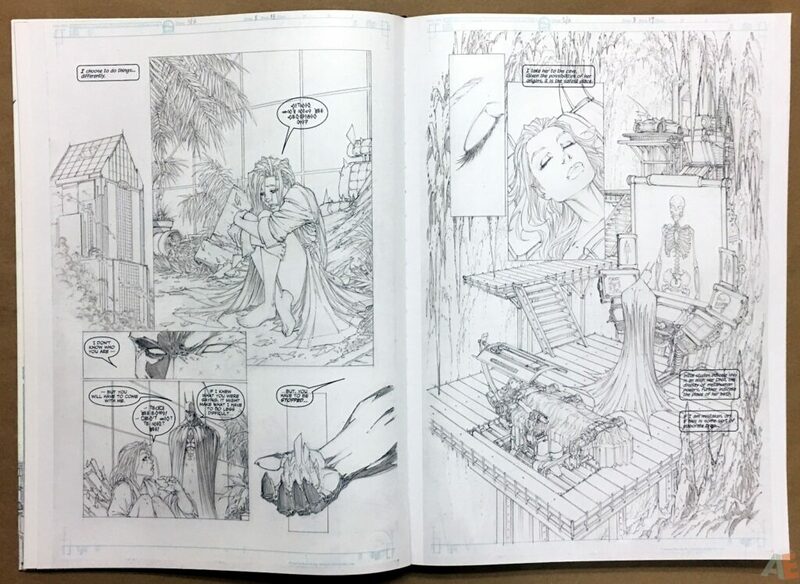 This stunning Gallery Edition collects Michael Turner’s work for DC Comics, reproduced directly from his uninked pencil art that was then enhanced and colored by the talented Peter Steigerwald. 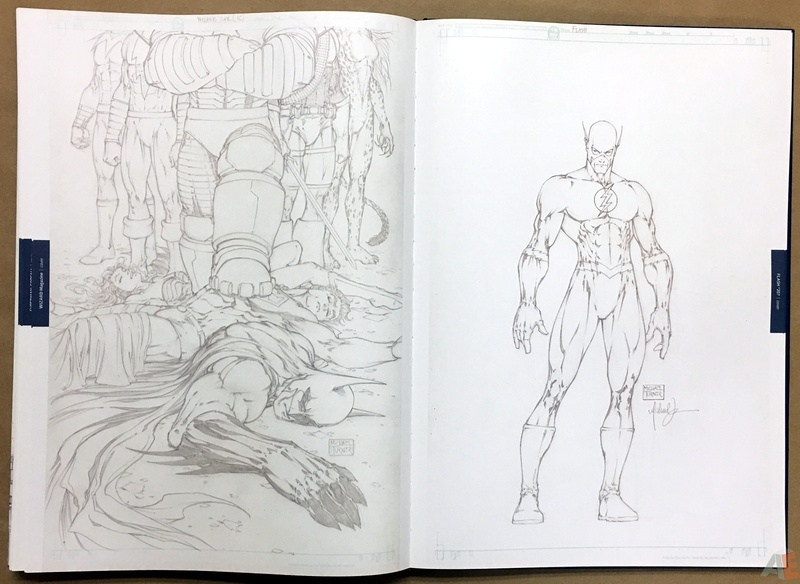 This format showcases Michael’s art with all the subtleties and details that have never been captured in this fashion until now. 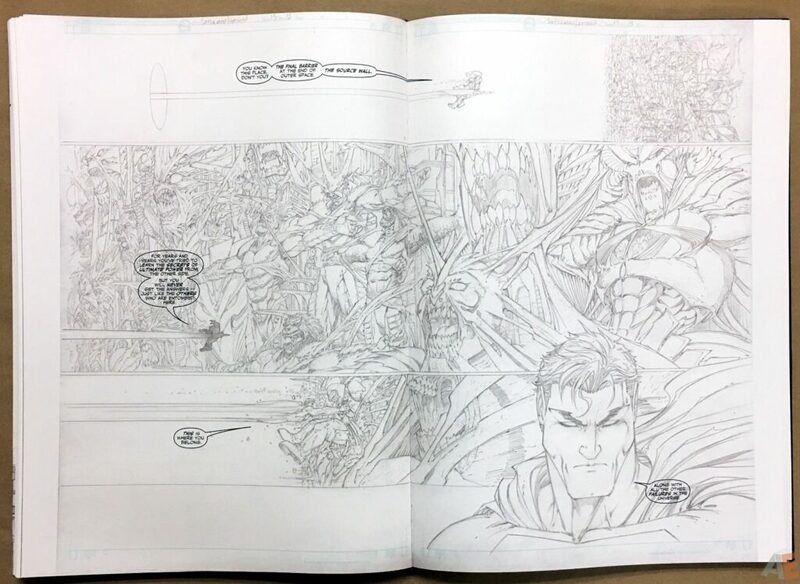 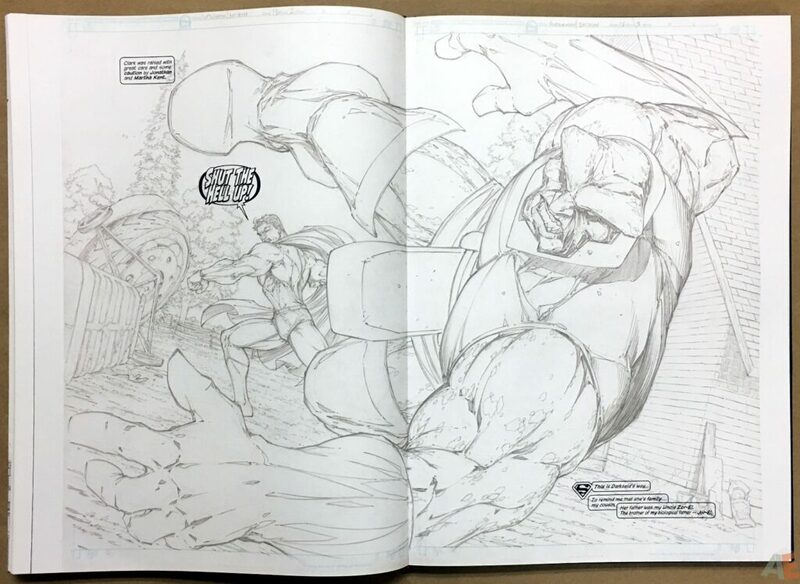 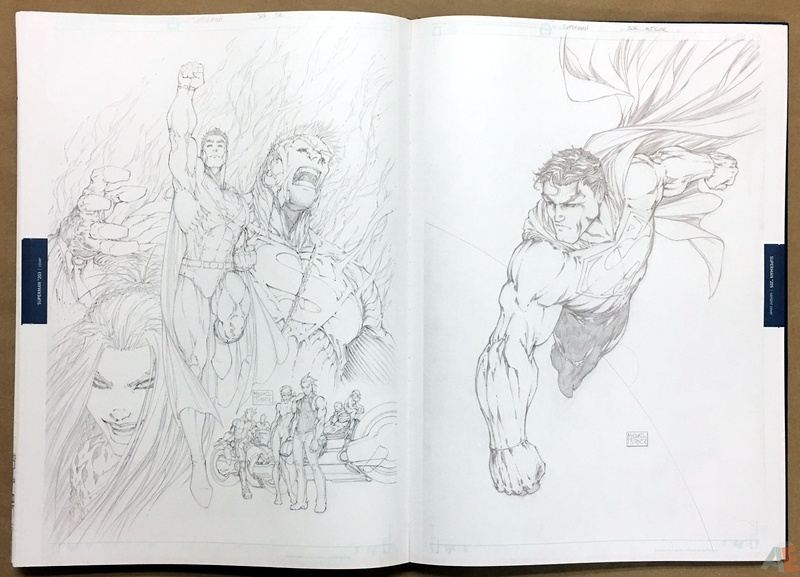 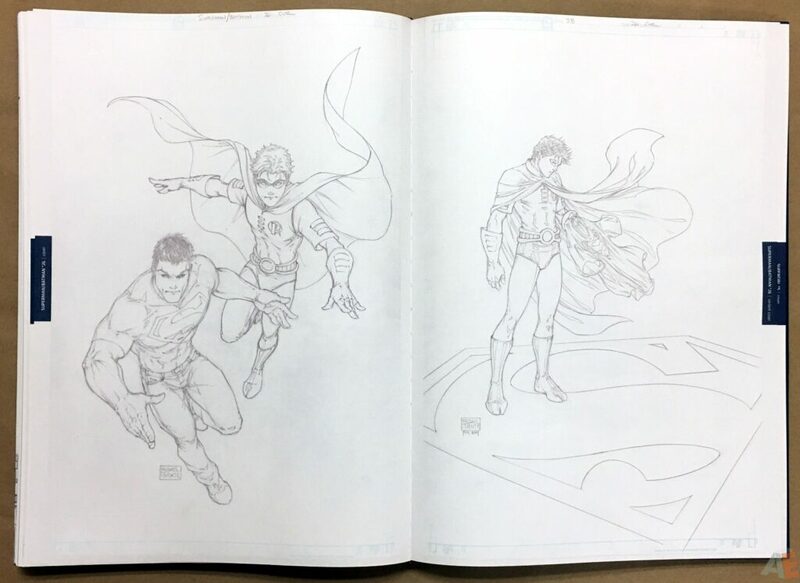 A clean and precise look at Michael Turner’s output for DC, Superman/Batman: Michael Turner Gallery Edition will make a fan out of most readers. 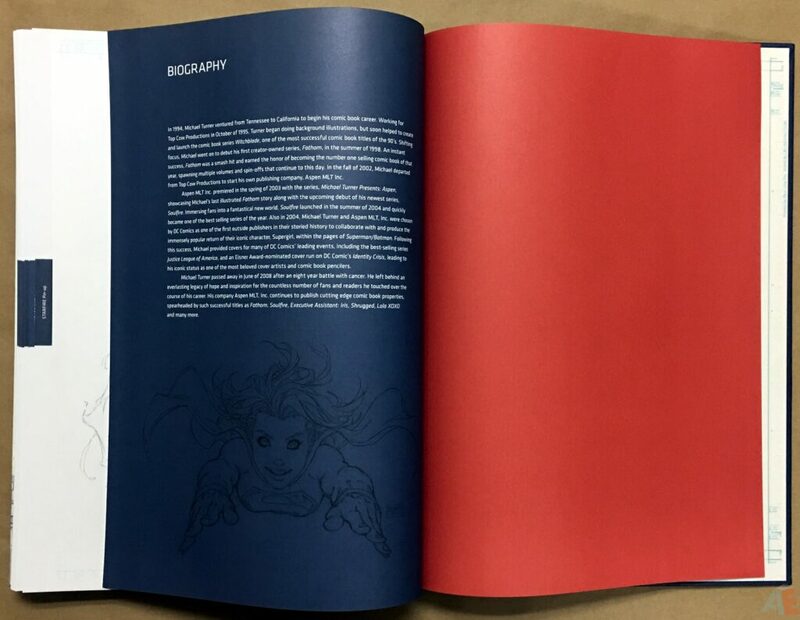 This was not a book I planned to purchase. 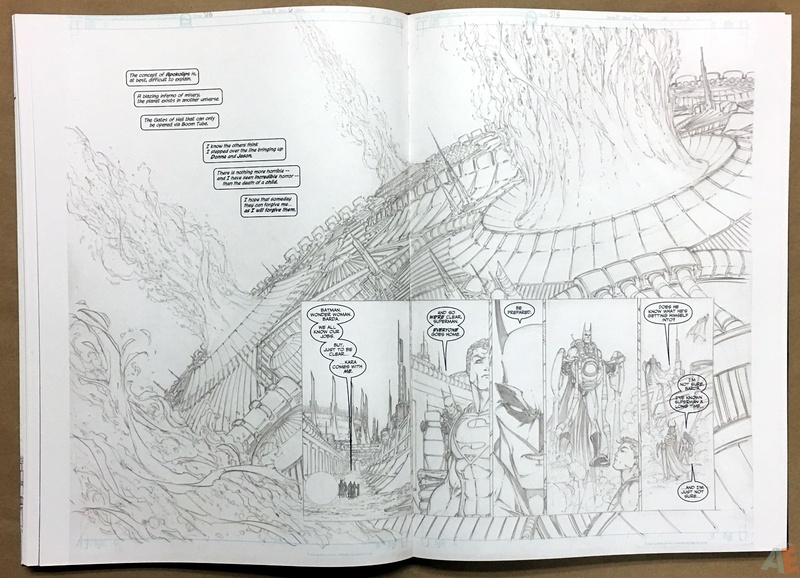 Turner’s art didn’t do anything for me, and I vaguely remember liking the original run when published. 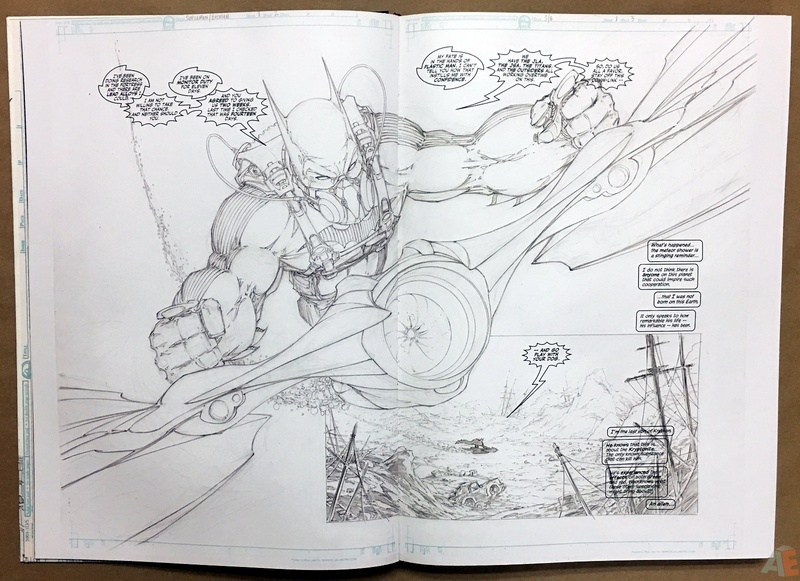 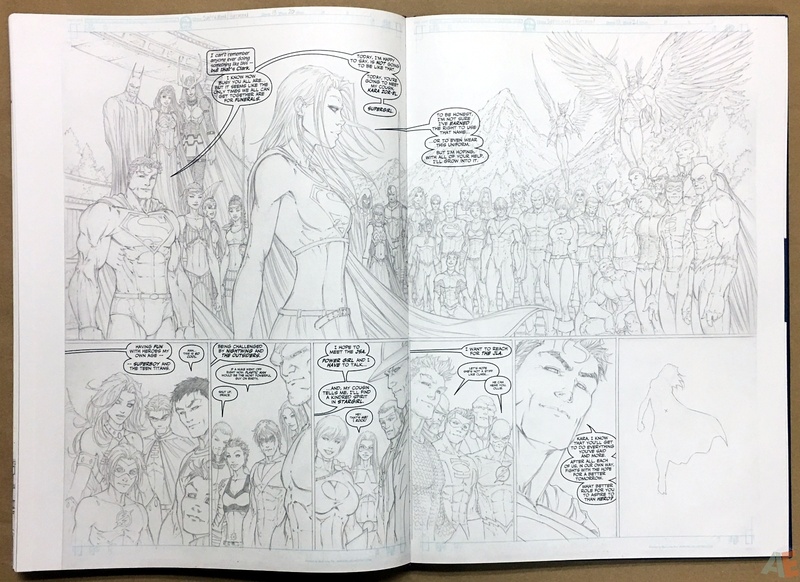 My local comic book shop had a copy sitting around for a few weeks and I finally took a look at it and was impressed by the production and display of Turner’s pencils. 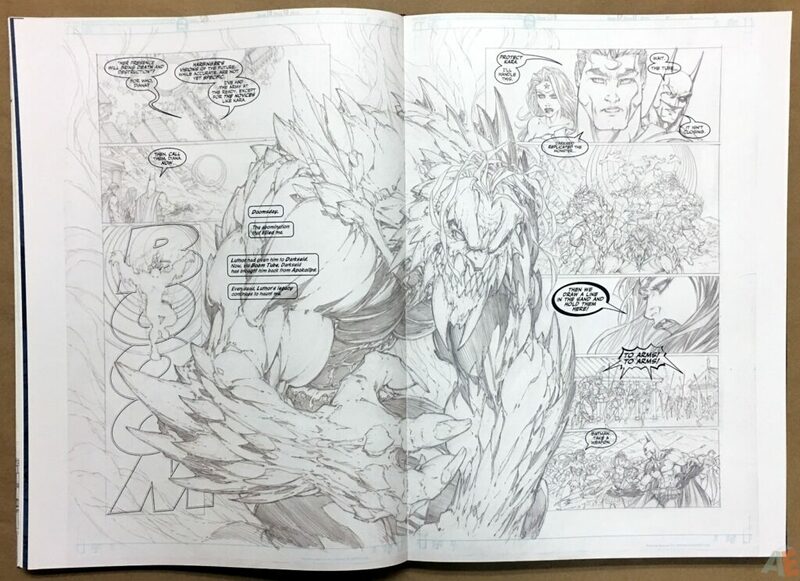 This volume tackles two presentation issues: pencil art without inks and pages with digital lettering. 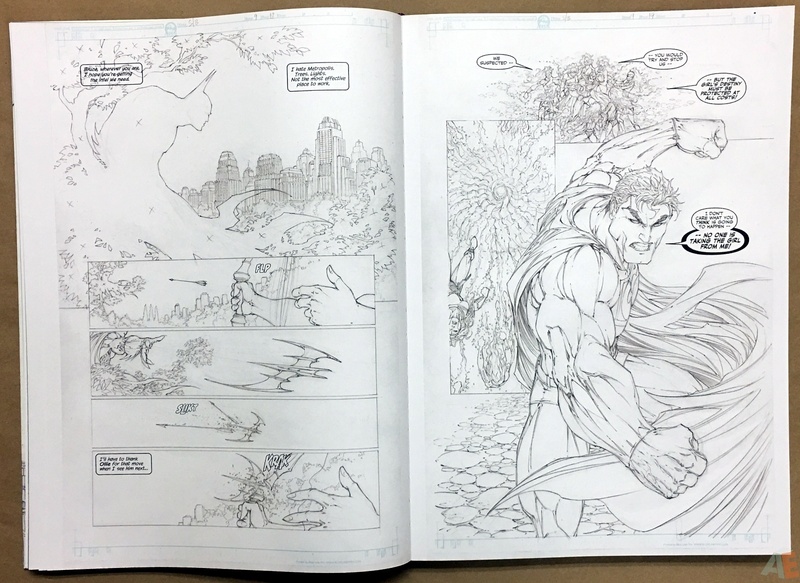 Graphitti Designs has handled both with aplomb: clear and detailed pages that can be read and enjoyed not only as pieces of art but as a complete story. 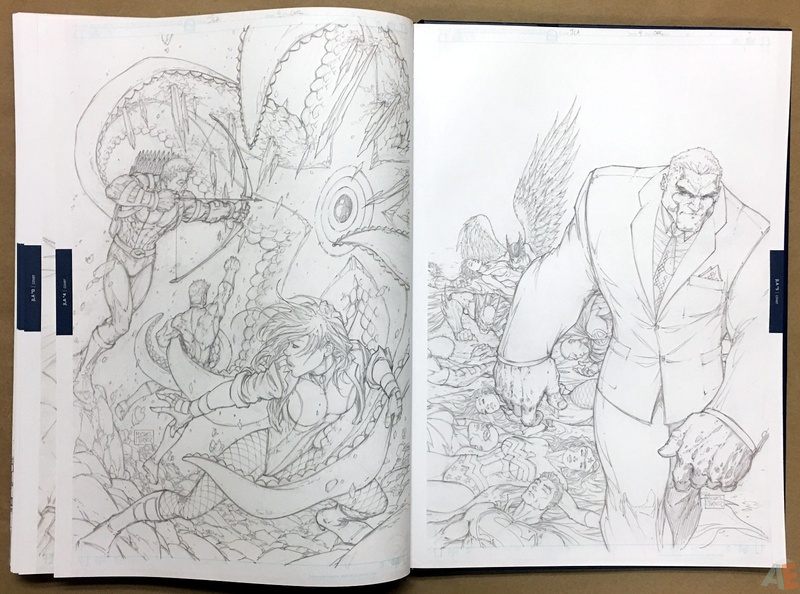 It’s what I had hoped for from the Mignola Hellboy Artist’s Edition. 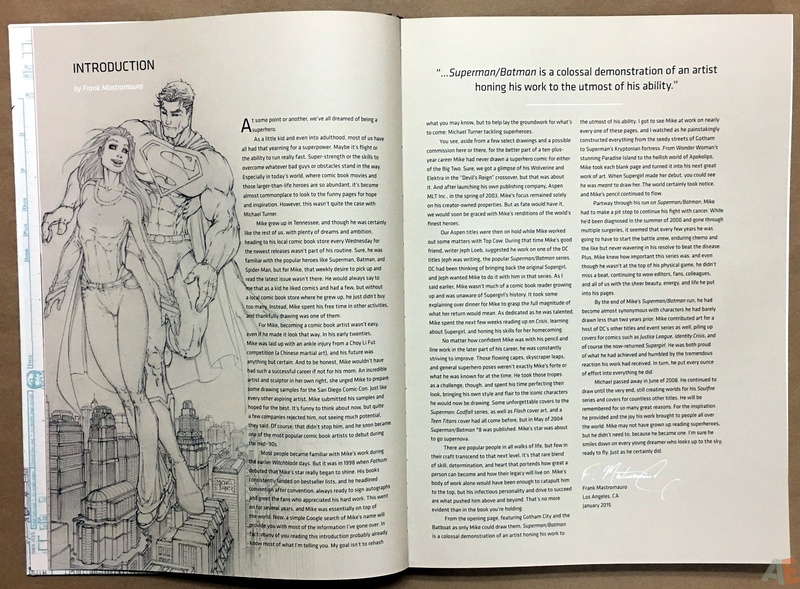 How it was handled and why is dealt with in a technical foreword just before the first artwork. 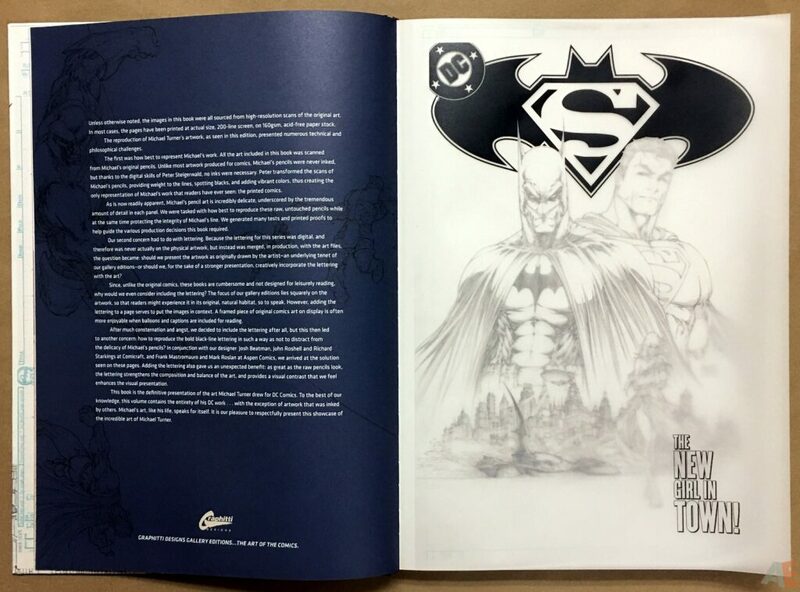 At times the dark text is in stark contrast with the art but presents a complete package in the best possible way. Scans are very clean and all art is white and fresh looking, which is in line with the age of the art. 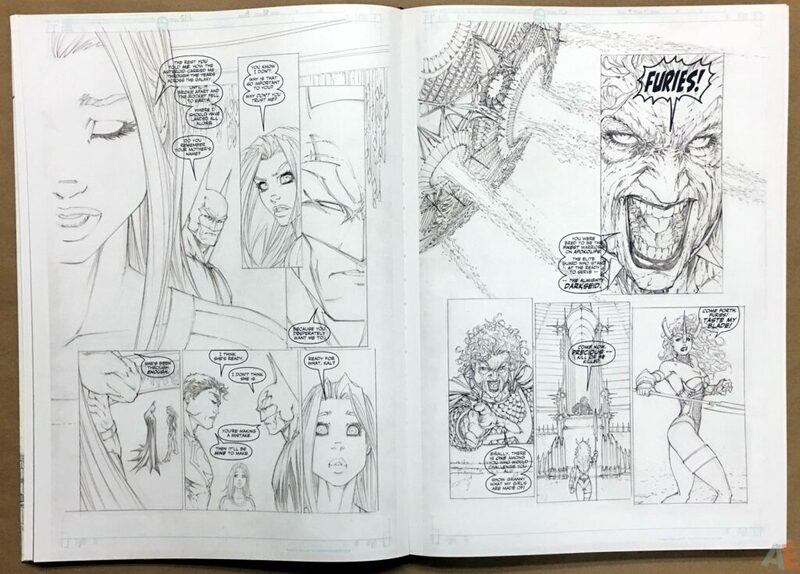 While all art is pencils it is clear and shows and reads well page after page. Turner’s comics output for DC was minimal, but a lot of it was covers. 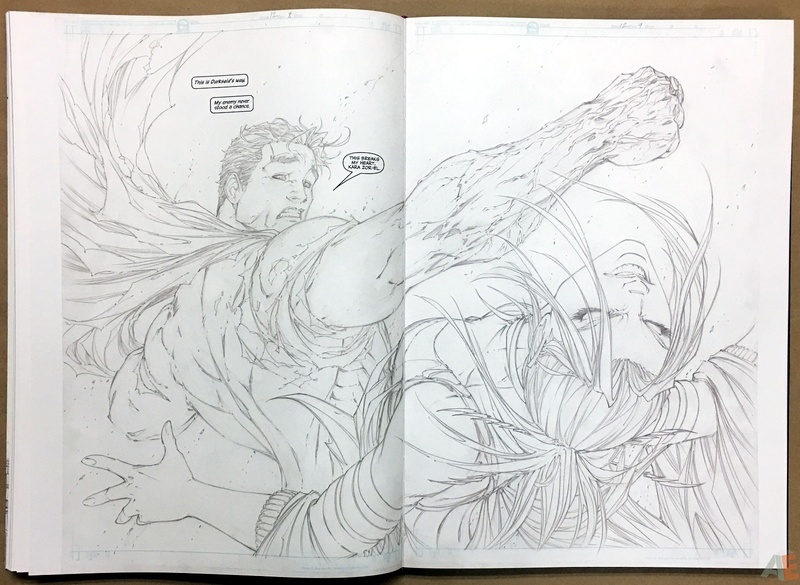 These are covered (ouch) exceptional well in the second half of the book. 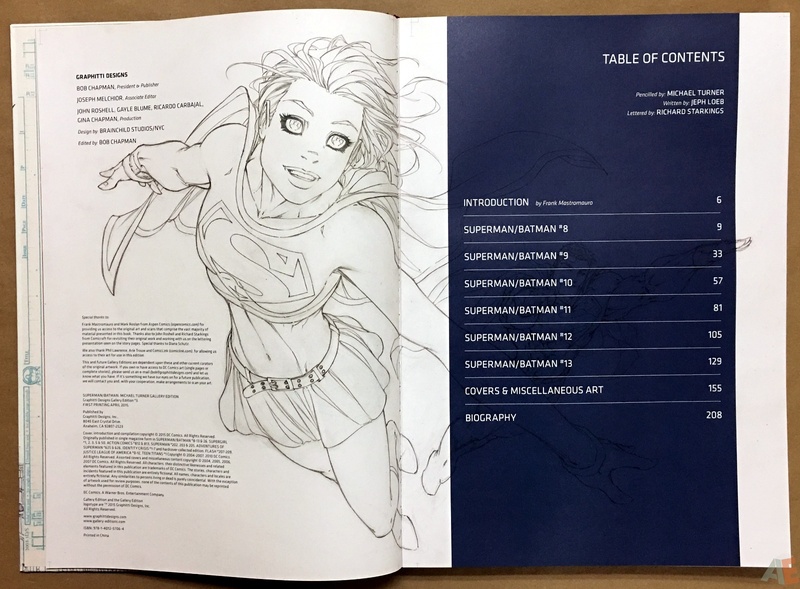 Each cover has a tab in the outside center of the page showing what book it covered. 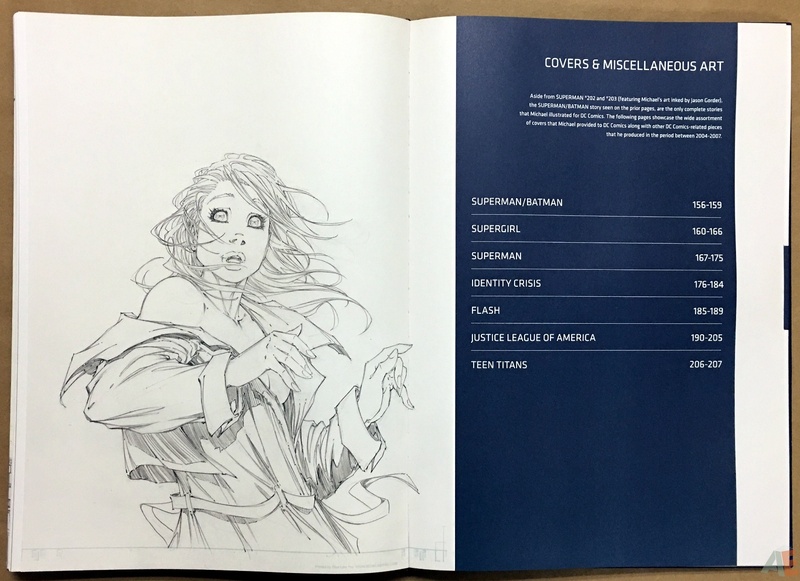 The only error in the book is the Wizard (1c) cover appearing twice: once in the Identity Crisis section and once in the Justice League Of America section. It’s also the only cover without the issue number (it’s issue 169). The design is clean and uncluttered, with minimal colours and clean typeface. 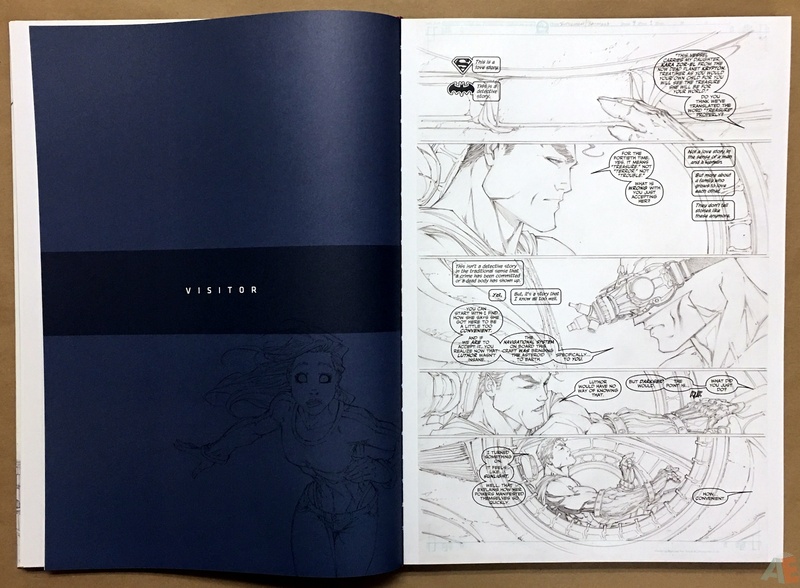 The facing page after the cover is the same dark blue with a white lined blow-up of art from the issue with the issue title. 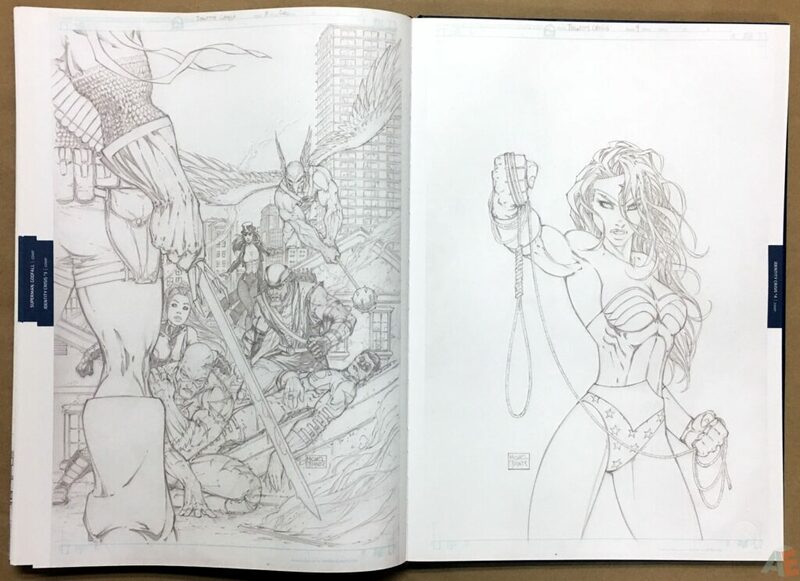 Another fine job from Brainchild Studios/NYC. The book comes in a cardboard case with a black and white sticker showing a modified cover image with the barcode and printed cover price. 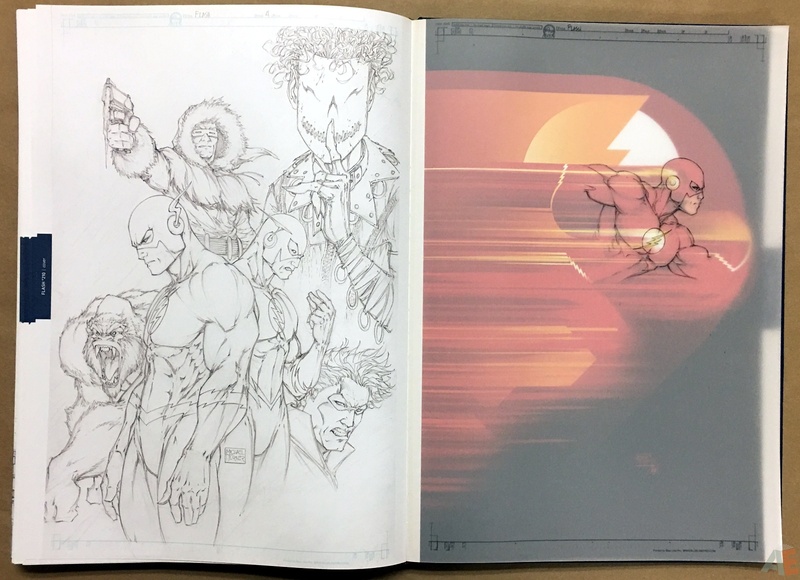 Inside the book is shrinkwrapped. It’s a solid construction and a proven design. 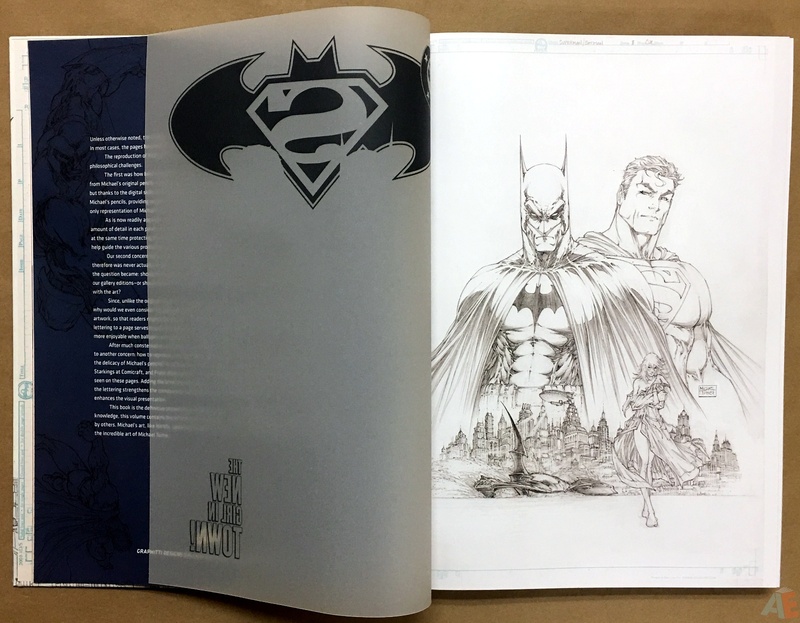 This third Gallery Edition from Graphitti Designs continues to highlight the excellent production and quality being made available by Bob Chapman and his team.